Parole board decides to release Rabbi Pinto due to his precarious health situation and his expressing regret for his actions. Rabbi Pinto accompanied by his followers. Archive. The Prison Service parole board decided on Monday to release Rabbi Yeshayahu Pinto after he served seven months of a sentence for bribery and corruption charges and expressed regret for his actions. Rabbi Pinto, the rabbi of the "Shuva Yisrael " communities in Ashdod and New York, will be released from jail after just seven months. The main reason for the early release of the rabbi, who was sentenced to a year in jail, is due to his precarious health condition. Rabbi Pinto entered prison last February and before he was incarcerated his lawyers and followers reported that his medical condition is complex and serious. The board's decision was also influenced by the fact that in the last few weeks the rabbi had expressed regret for having testified against Brigadier General Ephraim Bracha and for having given bribes. It should be noted that the parole board also referred to intelligence reports that the rabbi continues to maintain contacts with criminal elements, but decided that the consideration of his precarious health and the treatments he has to undergo outweighed other considerations. Rabbi Pinto's release will be predicated on his maintaining the rehabilitation program arranged for him by the board, including a period of lodging at the Ma'ale Hahamisha hotel, participation in group therapy for white collar felons and individual talks with a rabbi. As part of his conditions of release, Rabbi Pinto is forbidden to leave Israel until May 2017, at which point the group therapy he will be attending will conclude. 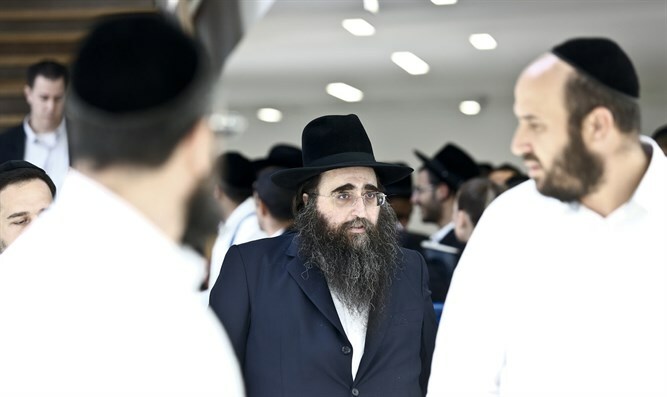 Rabbi Pinto was sentenced to a year in jail after being convicted of giving bribes to Brigadier General Ephraim Bracha and of obstructing judicial proceedings. His appeal to the the High Court was rejected. Rav Pinto also presented an amnesty request to President Rivlin but it too was rejected after a negative recommendation by the amnesty department of the Justice Ministry.